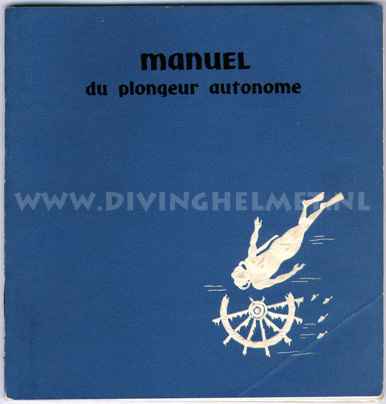 Manuel du plongeur autonome, second edition 195? 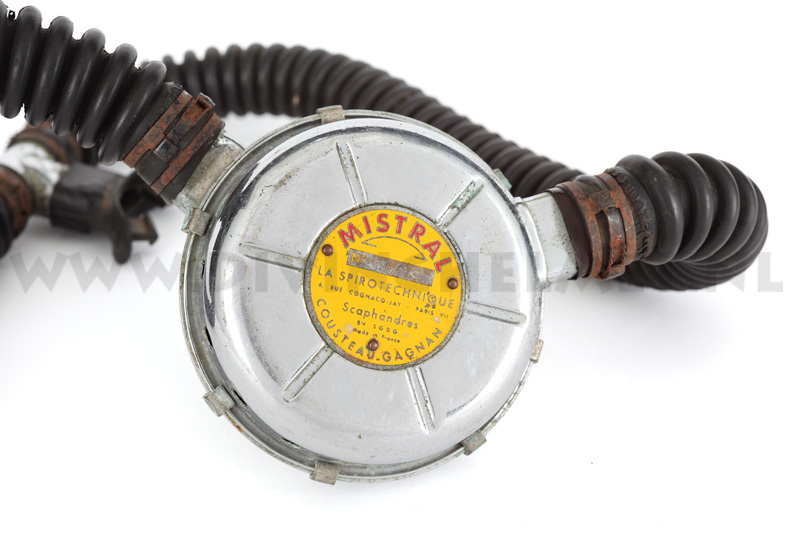 1956 La Spirotechnique ‘MISTRAL’ regulator. 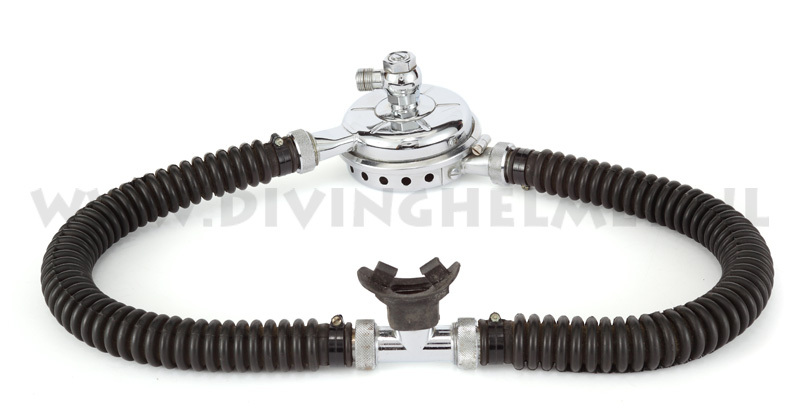 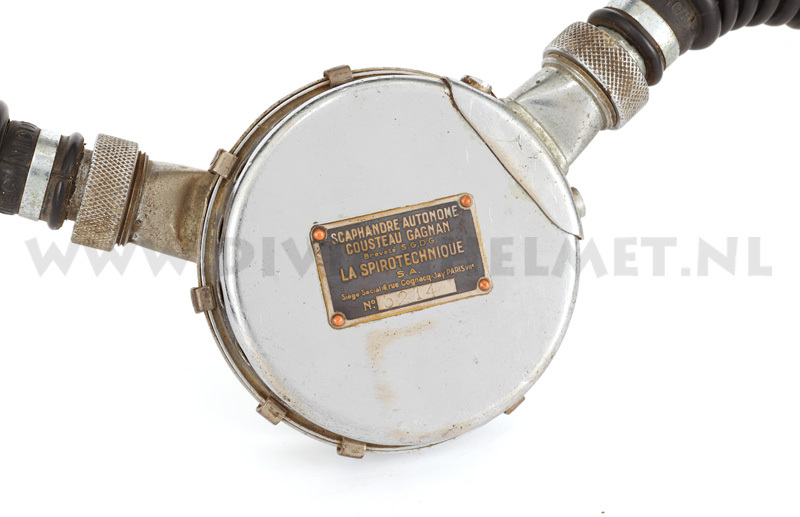 The photo above shows a La Spirotechnique ‘Mistral’ regulator which was introduced in 1955. 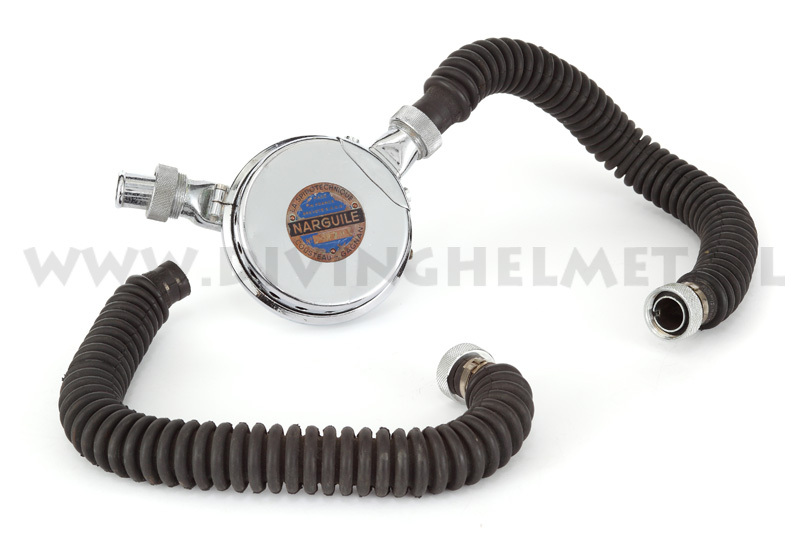 There are several versions of the company badges on the Mistral regulators existing: the rarest has the company address with ‘6 Rue Cognac Jay’ ( shown here above ) which was only manufactured for 1 year. 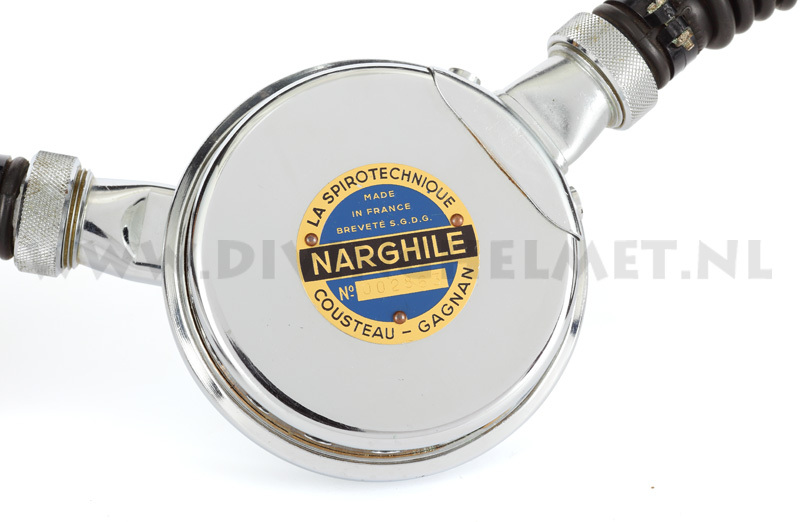 In 1956 La Spirotechnique moved to ‘Rue Trebois Levallois’ and even though this is the most common address to be found on the badge of a Mistral regulator there are still several different versions of these common badges existing. 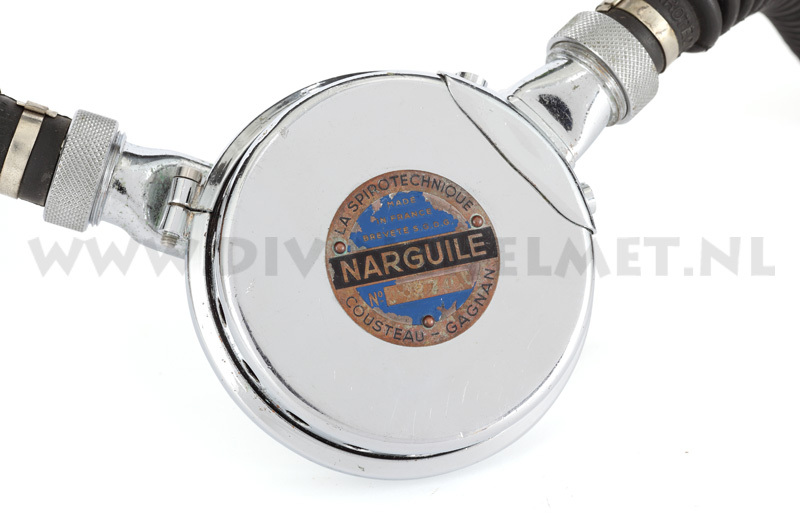 The last version of these badges have the address ‘Rue Marius Aufan’ on them, also a version which is rather uncommon because at that time the single hose regulator and the ‘Royal Mistral’ had already been introduced. 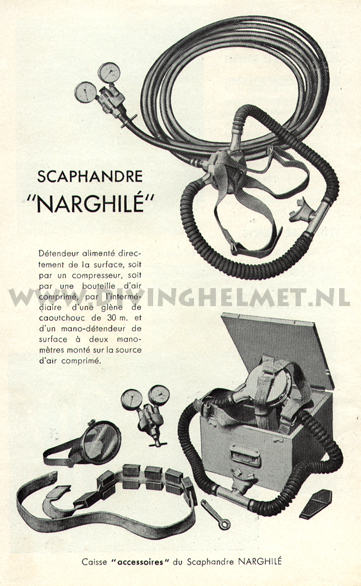 After the Mistral was introduced in 1955 La Spirotechnique only manufactured the older CG45 regulator for government departments like the military, police and firebrigades. 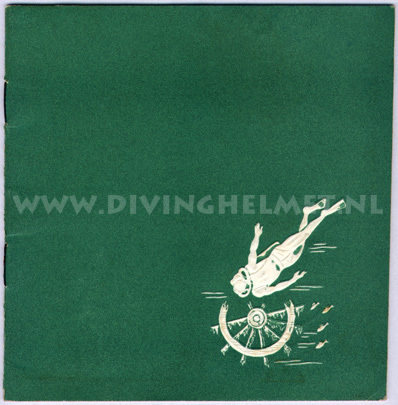 Photograph David L.Dekker. 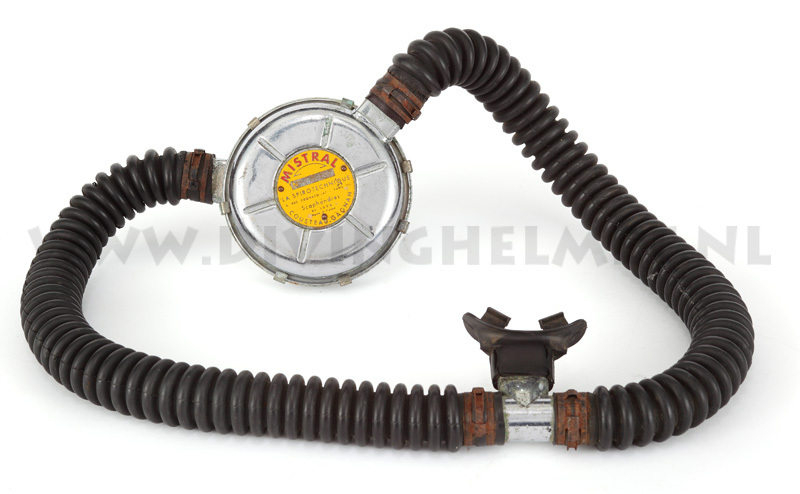 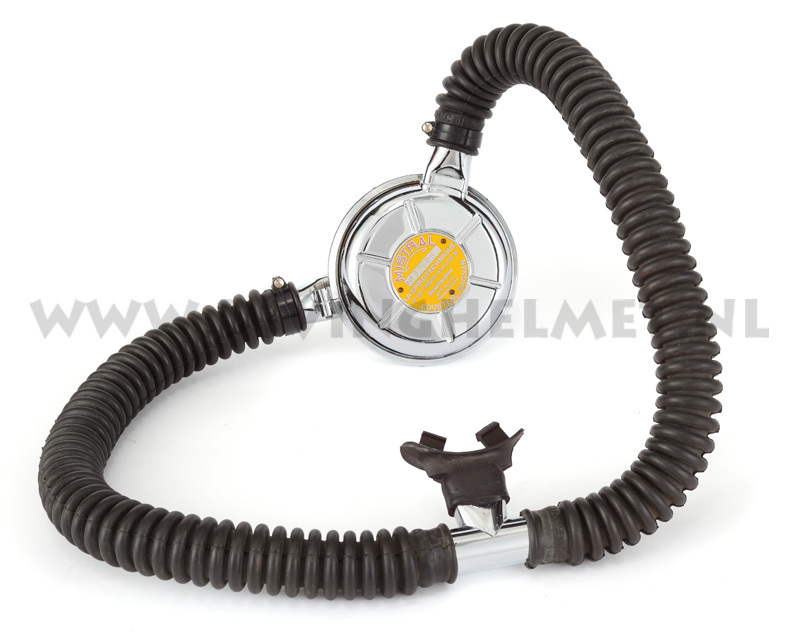 The manual above shows the Mistral regulator without a company badge, it is shown on a tank with again a different harness when compared to the previous manual of the 1950 - 1955 era. 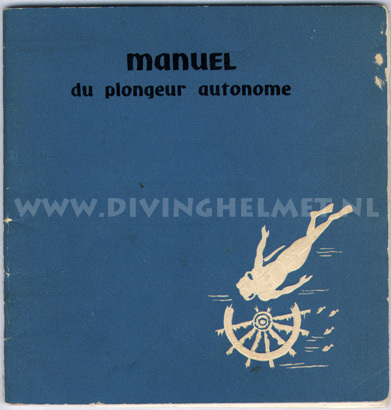 Manual David L.Dekker collection. 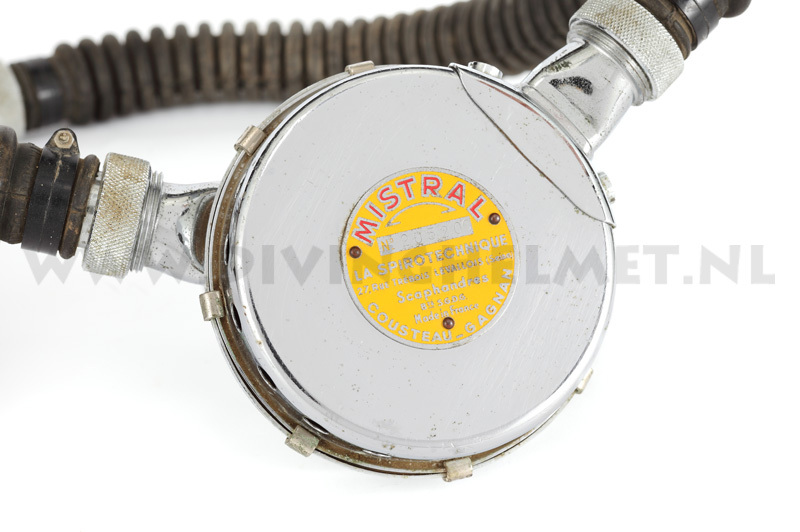 The second edition of the Mistral manual shows the Mistral regulator with a company badge. 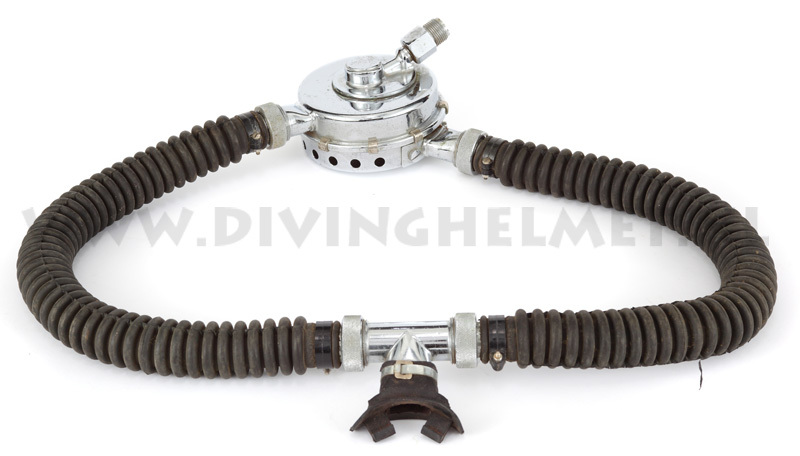 The lay-out is completely different, now also a triple tank set is shown. 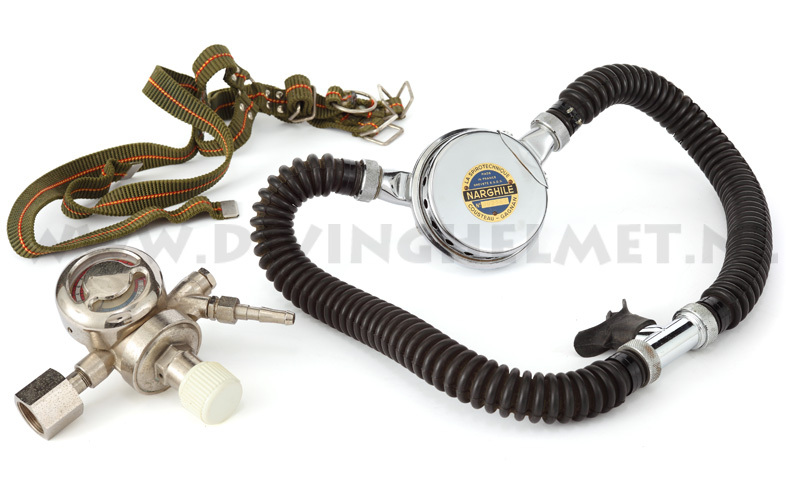 Manual David L.Dekker collection. 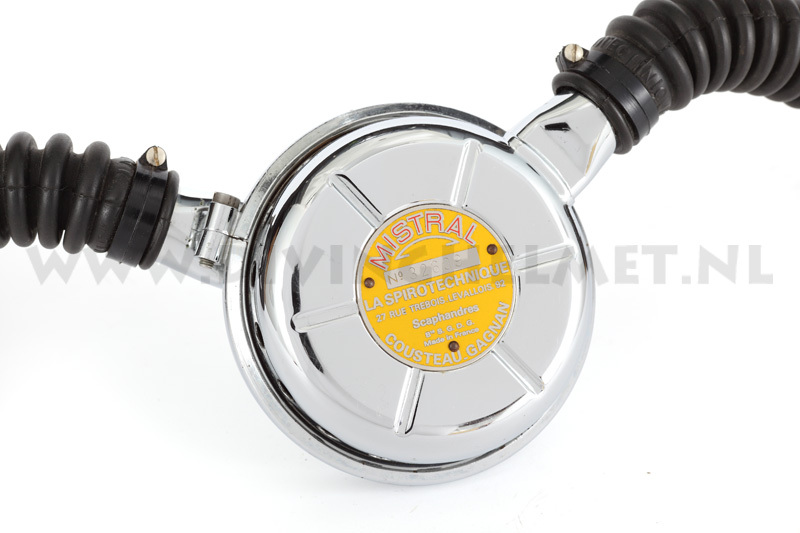 The USA edition of the Mistral manual shows the Mistral regulator without a company badge but now also a hookah version is shown. 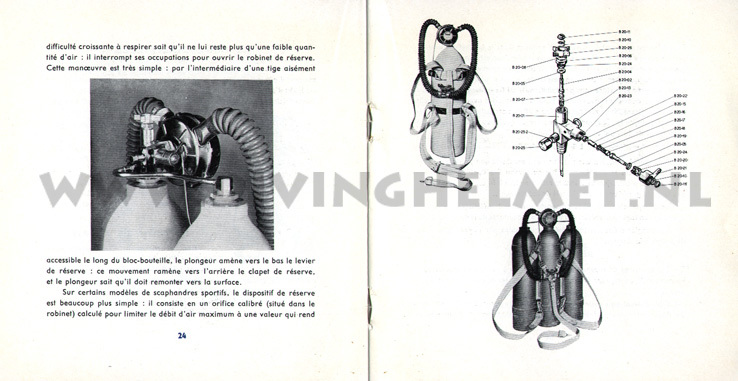 The lay-out is completely different compared to the french editions, the tanks have again a different ( green ) harness when compared to the previous manuals ( white harnesses ) Manual David L.Dekker collection. 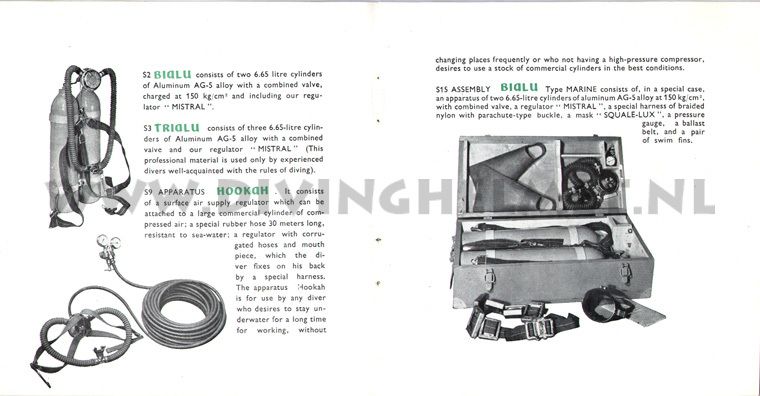 The photo above shows the 1956 Mistral on a‘Tri-Alu’. 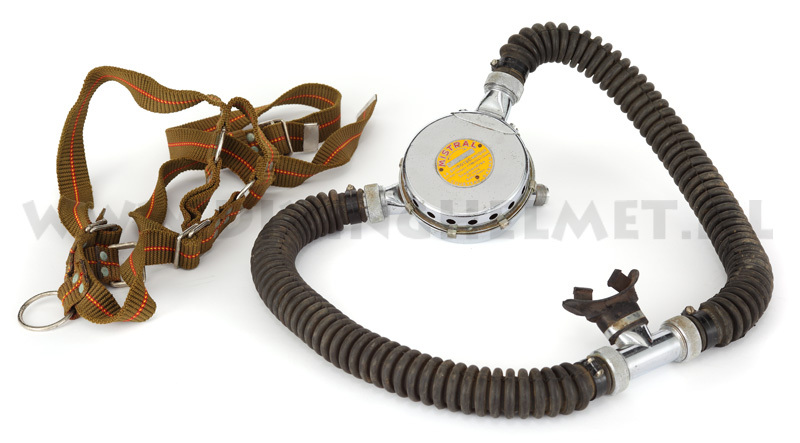 This tank set was made of aluminium but still very heavy. 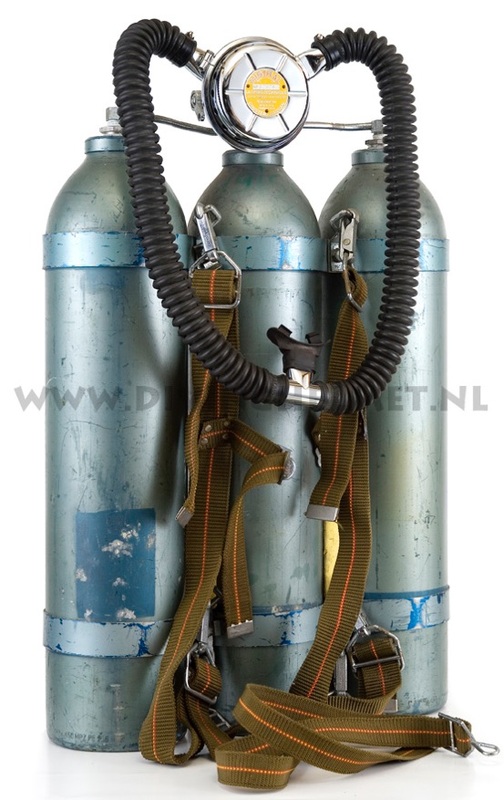 Photograph David L.Dekker. 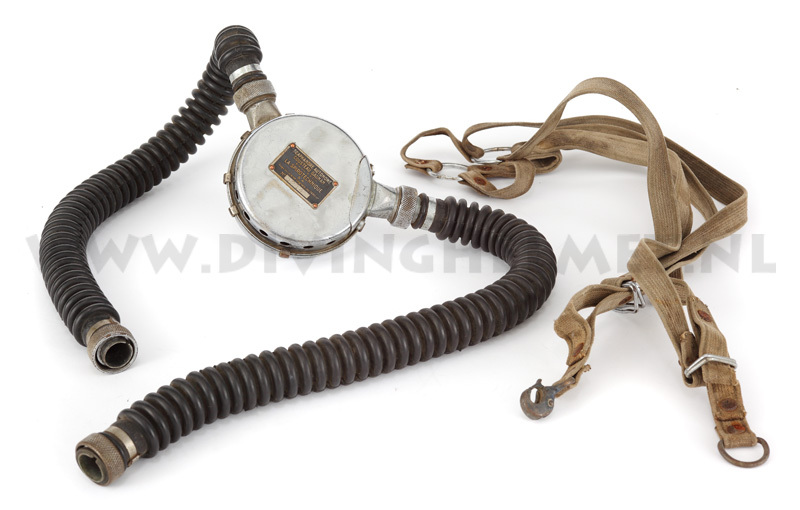 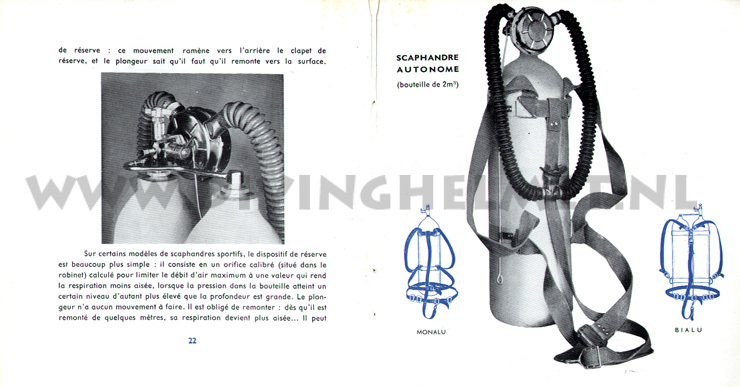 The CG45 ‘Narghile’ illustrated in the fourth edition of the CG45 Diving Manual 1950 - 1955 It may well be an earlier illustration because the hoses are directly clamped on the regulator and mouthpiece, also does the mouthpiece have a longer tube then the later CG45’s.